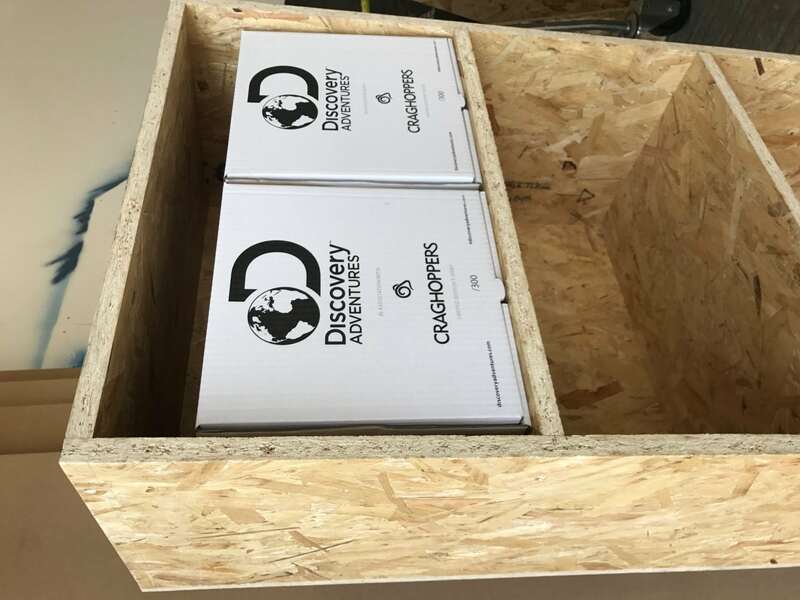 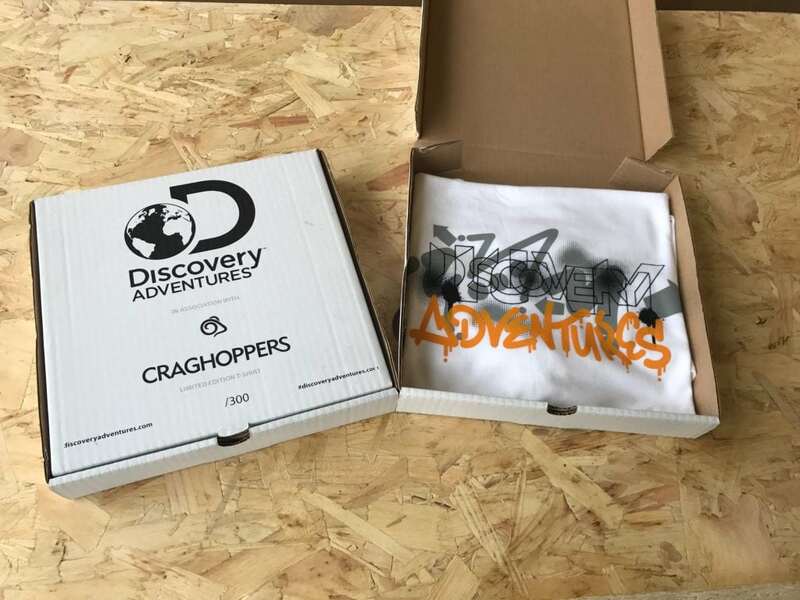 We were commissioned by Discovery Adventures to promote their new product range with Craghoppers. 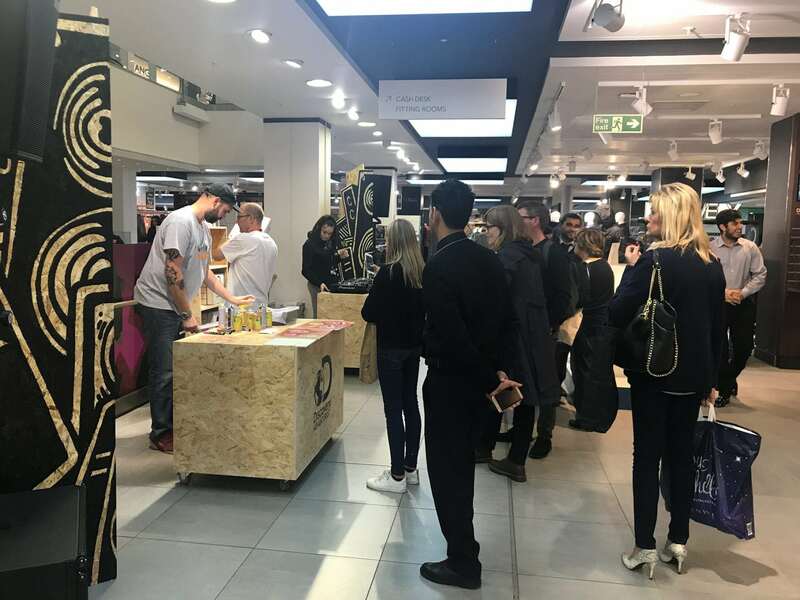 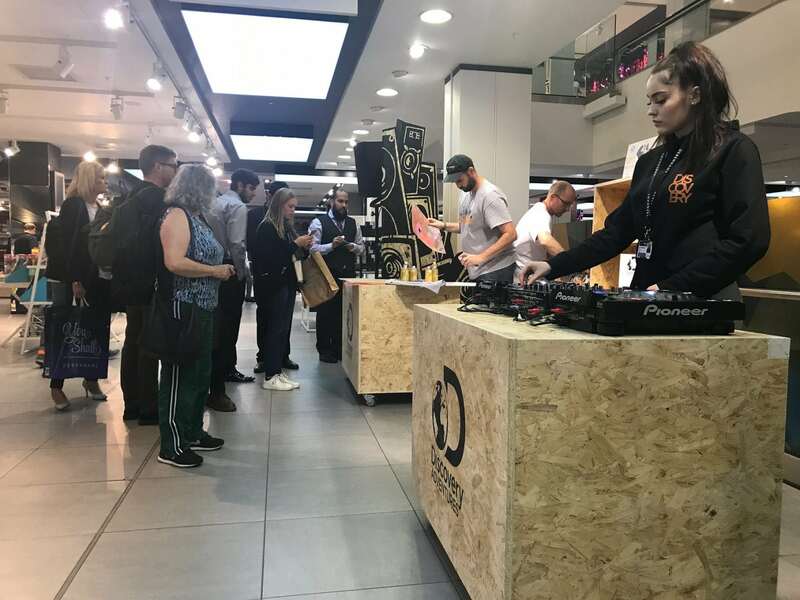 The brand activation event was held at Debenhams on Oxford Street. 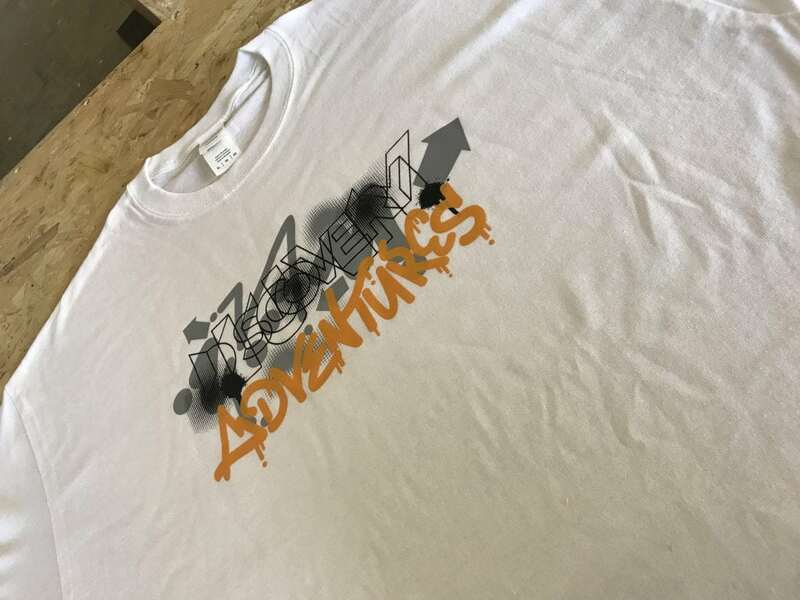 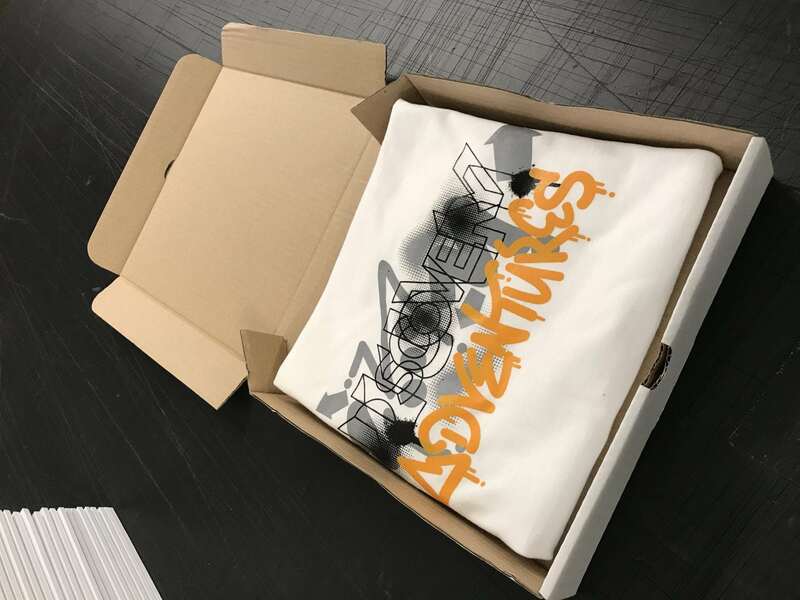 Soulful created a limited edition t-shirt which the team customised for people visiting the Discovery Adventures area in store. 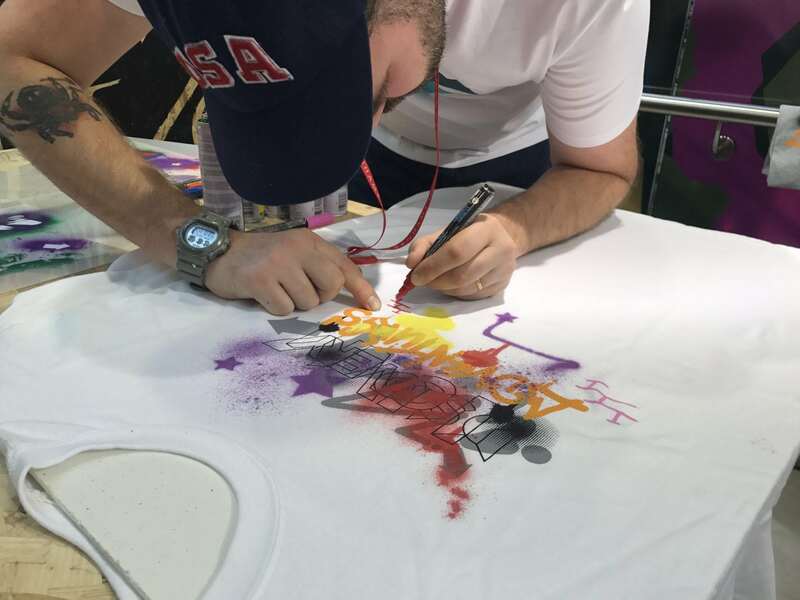 The one-off original design was screen-printed before being hand-finished in a graffiti style with fabric spray paint and pens. 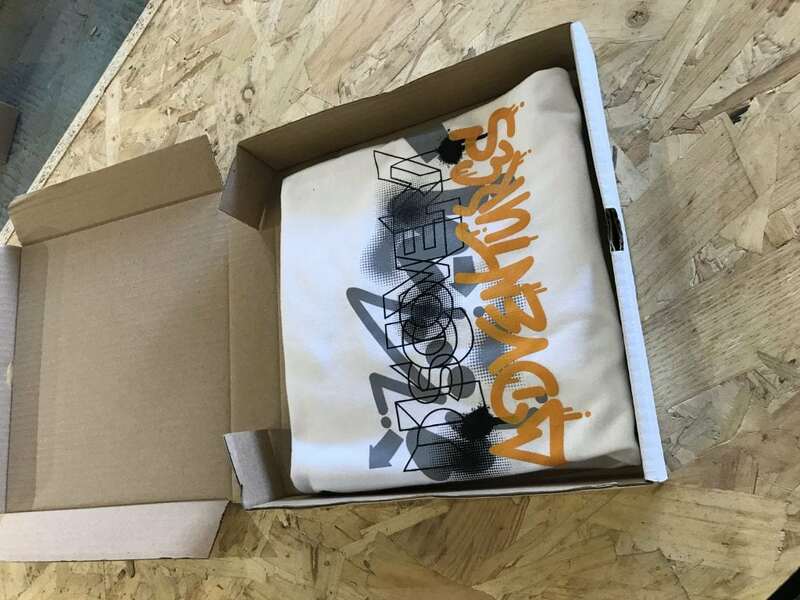 T-shirts were packaged to take home in limited edition screen-printed pizza boxes. 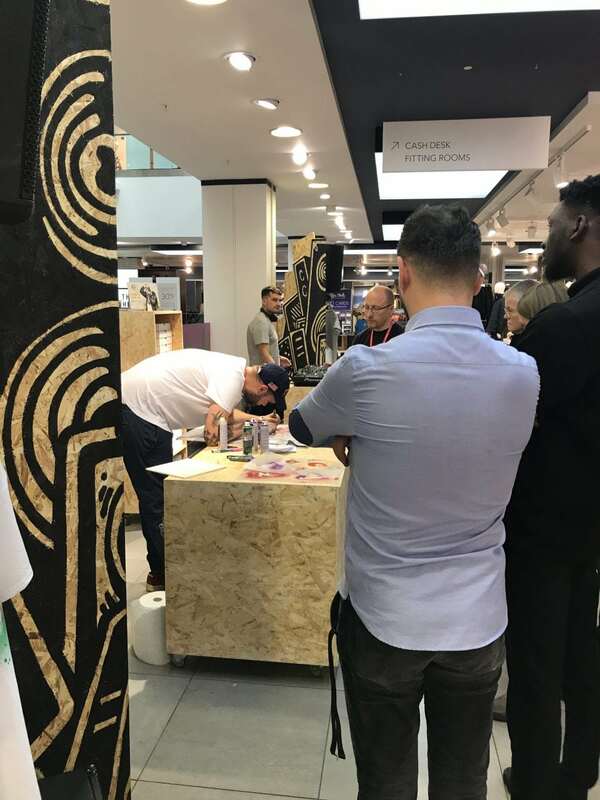 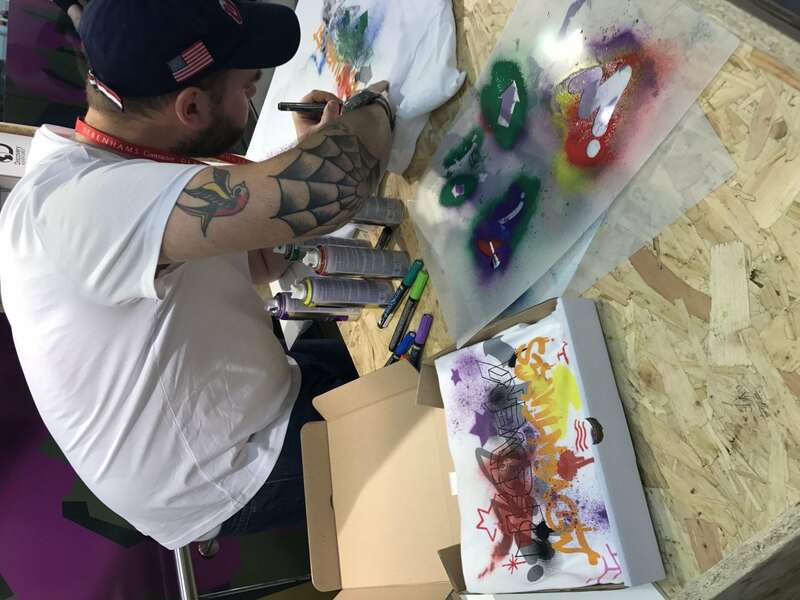 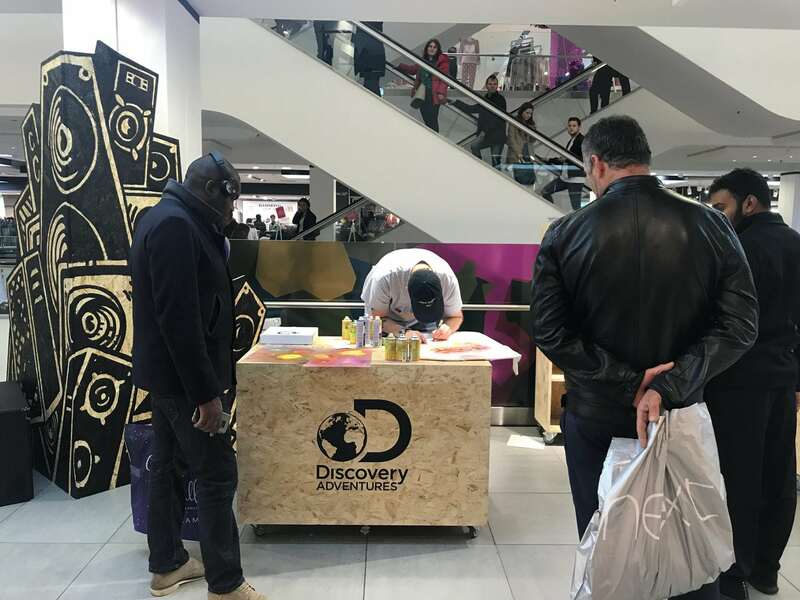 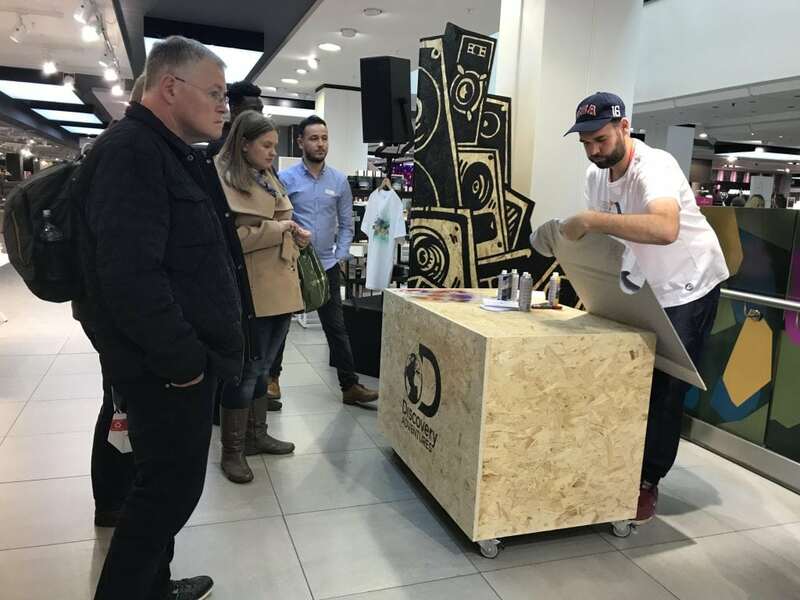 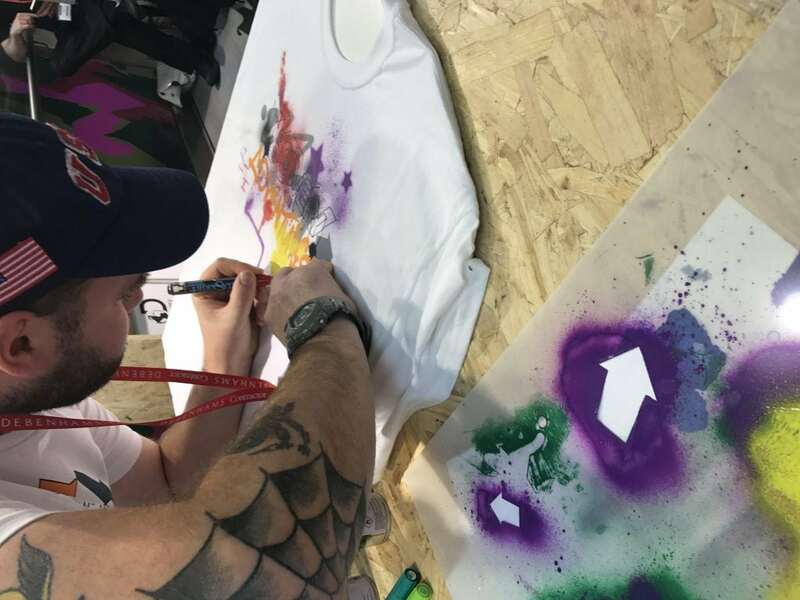 The live art area where the t-shirts were customised was designed by Soulful to create a powerful visual experience that encouraged people to engage with the Discovery Adventures brand. 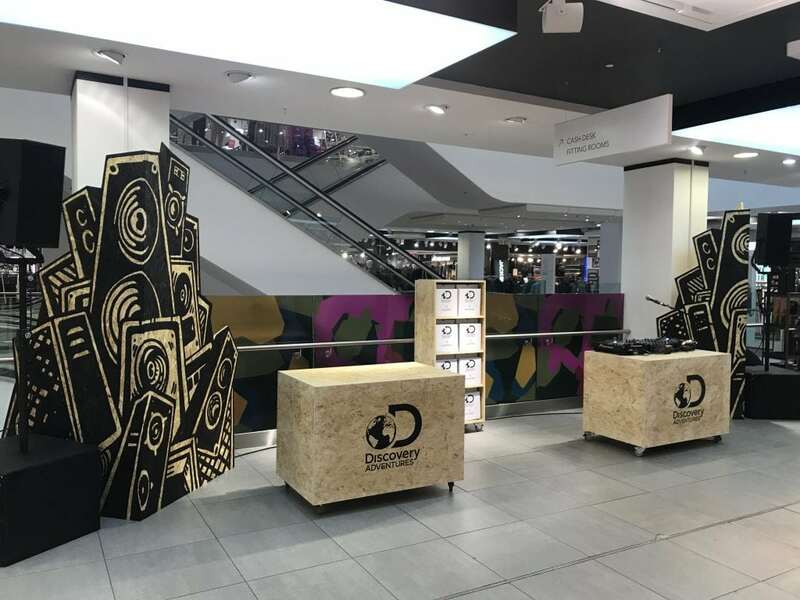 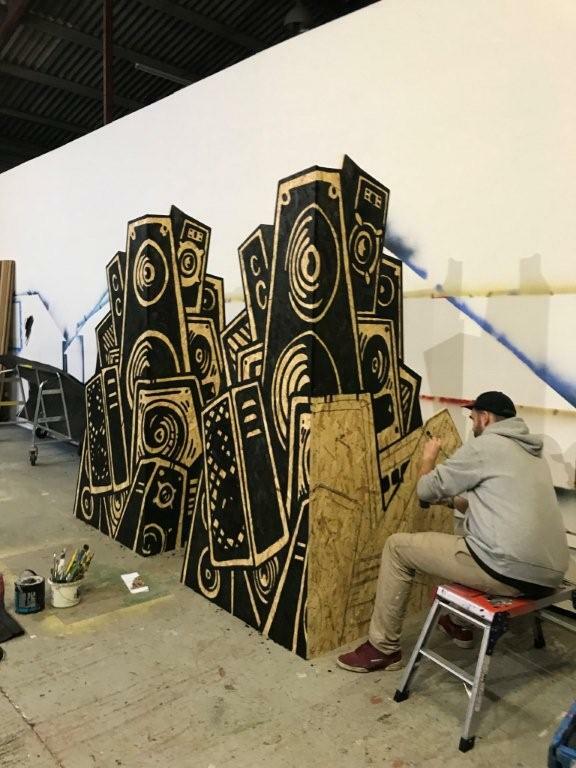 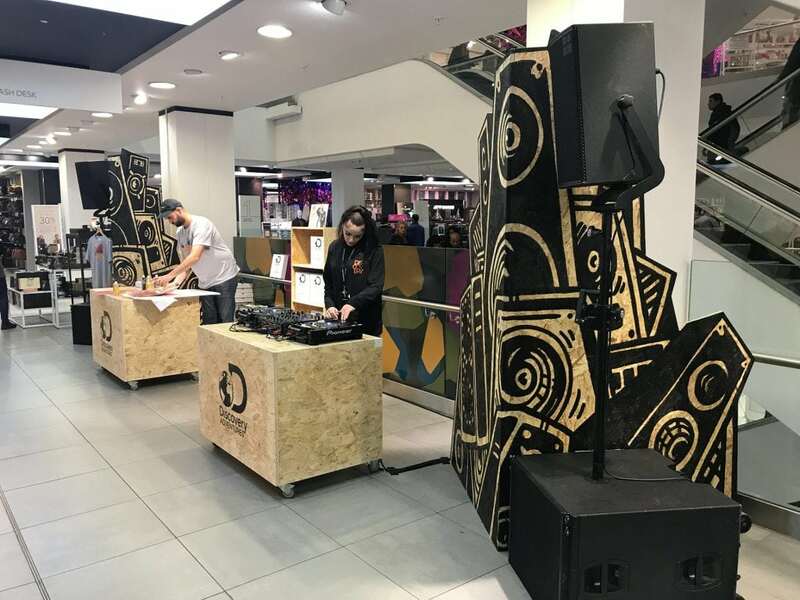 This included vinyl graphics for large glass panels, hand-illustrated speakers and branded DJ and live art desks, and shelving units created in OSB board to maximize the product display.